The University of Maryland Baltimore County Summer ID Clinic is a day camp set on July 25, . It is inviting 8th grade or older excellent female soccer players. The clinic is ideal for passionate players who wished to play for the UMBC Retriever soccer team. During the clinic, players will experience the competitive yet fun collegiate soccer atmosphere. The program will provide technical and tactical training sessions. Also, it will provide knowledge in improving athletics capabilities. It includes goalkeepers skills specific training sessions. Then, players will be able to play full-sided games. Also, this clinic will discuss college recruiting procedures. The organizers of the event are the UMBC women’s soccer coaching staff. It will be at UMBC Stadium which is a trendsetting facility. The program will start at 1:30 PM and will end at 8:30 PM. University of Maryland Baltimore County is a public research university. It is an affiliate of the University System of Maryland. Currently, it has around 11,800 undergraduate students. The university is 156th in the US News and World Report national rankings. Also, the university is 306th in Forbes national rankings. UMBC has 15 varsity teams. And, they call themselves the Retrievers. Black, gold, red, and white are their identity colors. 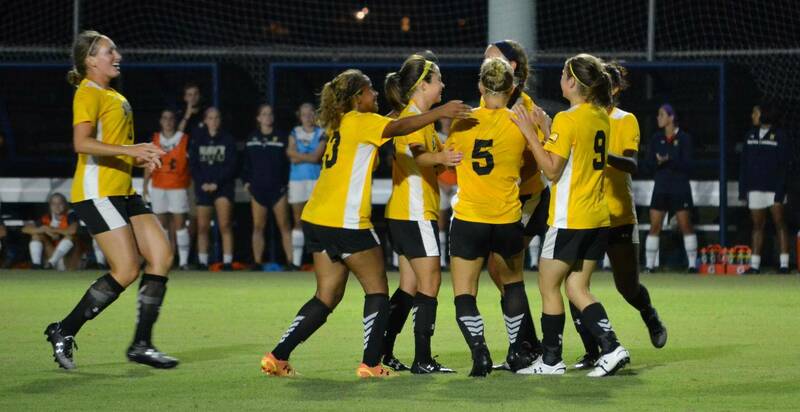 It’s women’s soccer team is competing in the America East Conference of NCAA Division 1. They are the 2013 America East Regular Season Champions. They are the 2013 America East Tournament Champions too. The head coach of the UMBC women’s soccer team is Leslie Wray. Next season will be her 6th season as the team’s head coach. She is the former head coach of Towson University. The assistant coaches of the Retrievers are Steve Campbell and David Stockum. Campbell is a member of the 2013 America East Coaching Staff of the Year. David Stockum is the former Director of Goalkeeping in Ohio Elite Soccer Academy. The University of Maryland Baltimore County Summer ID Clinic is ideal for passionate players who wished to play for the UMBC Retriever soccer team.